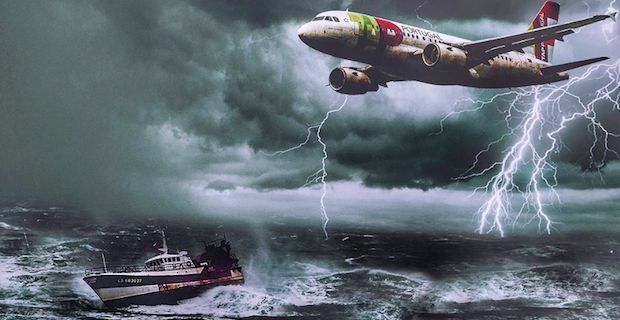 The Bermuda Triangle, also known as the Devil’s Triangle, lies in the western part of the North Atlantic Ocean with the three points being Florida, Puerto Rico and Bermuda. This area is said to have “mysteriously” taken ships and planes but is this “Devil’s Triangle” real? There has been plenty of mystery surrounding this Triangle with over a thousand ships and planes disappearing in this area over the past few centuries. The part that is disconcerting is that the aircraft's and ships appear to be doing fine but then suddenly disappear into thin air. So what exactly is going on. We humans enjoy hearing and telling a good story. Over time these stories often become embellished into something spectacular and often unrealistic. While they may have very well disappeared, the stories that surround them as to how they disappeared have been elaborated or someone simply incorrectly documented the situation. There are often numerous inconsistencies in the documentation surrounding these “mysterious” events. This area is one of the busiest shipping lanes in the world and is often full of cruise ships and aircraft that are going between Florida, the Caribbean Islands and South America. With such a high amount of traffic the number of aircraft and ships that go missing are actually quite low. There are also scientific explanations that may explain some of the disappearances. According to oceanographic surveyors the ocean floors in the Bermuda Triangle region have methane bubbles that rise from it causing methane mega-bubbles that explode upwards. Any ships or aircraft will lose their buoyancy or engines and be pulled down into the ocean. Others say it could be the tropical cyclones that often occur in this area or perhaps it is the strong Gulf Stream current that sweeps them away. Either way the mystery does not seem so mysterious afterall.